Optislick is a permanent slick coating electrically applied so you can be sure this cable will slide smoothly throughout its long life. Being stainless steel, the cable is highly corrosion resistant so it will last longer. Precision ground, the cable is near perfectly round - again to facilitate smooth low-friction gear changes. For use with Shimano SP41 gear cable outer (not supplied). The cable is 2,100 mm long x 1.2 mm thick. This gear inner is optimised for Shimano XT M8000, Shimano 105 5800 and Shimano Tiagra shifters. 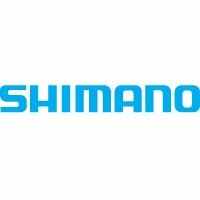 Works with any current Shimano transmission. Also works with near-any cable-operated bicycle transmission. Suitable for front or rear transmission - just cut off the excess once the cable is fitted.